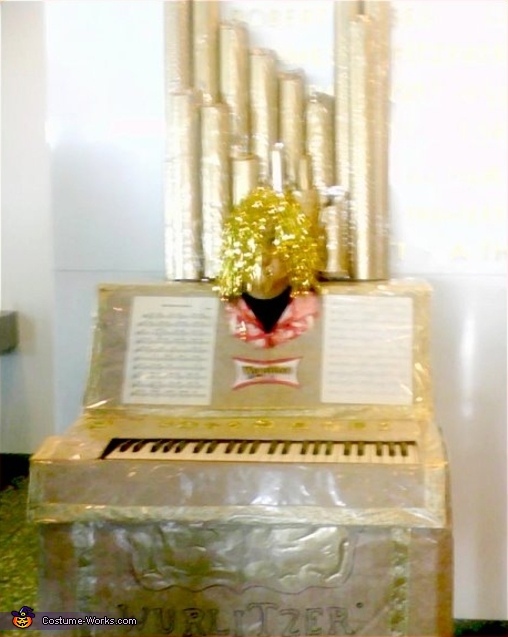 Above is Phoenix, who happens to love music, as a FUNCTIONING Pipe Organ (anyone can walk right up and play her Ü). Mom, Jeserae, says the Organ was made 100% from scratch and that it was a family effort... with a great deal of the effort coming from Phoenix's Dad. There are wheels attached on the bottom for easy mobility. Can you tell me more about how this was made! My little boy wants to be a pipe organ and we don't know where to start! It's an electronic keyboard surrounded by cardboard. I assume the pipes don't actually work.